SEO is important to increase visitors to your website or blog. Hundreds of new sites are created day by day, and if your site won’t show up in search engines, it can easily lead to a failure. By optimizing SEO you will get traffic requests from search engines for free, and this is certainly a way that will bring visitors in the long term is different from when you are doing a marketing campaign to advertise where you will experience a drop in visitors when advertising programs that you run ends. SEO-Generator is a SEO extension for Joomla, which automatically generates keywords and description for each article by pulling text from the title and/or the content, to help with SEO. It also gives you the ability to set different title configurations, robots meta tags and google webmaster verification keys. SEOSimple is another great Joomla extension which is very simple to use. This plugin generates the meta data “on the fly” when the page is loaded (from the content), it does not save the meta data to the content’s meta data fields seen in the Joomla editor. These fields can then be used to override the auto-generated meta description generated by this plugin. JoomSEF (Search Engine Friendly) basically helps in making the URL’s easily user-friendly and searchable, managing site meta tags, keywords & duplicates, customizing 404 page, URL caching & source caching, and more. It comes with JoomFish/Falang, allowing you to make your site work effectively at multilingual websites by translating the URL. JoomSEF is recommended for everyone who wants to properly handle his SEO. Sh404SEF is probably the most popular extension and longest developed available for Joomla SEO purposes. This is a commercial extension, although a Lite version can be downloaded by for free. Sh404SEF offers significant SEO features such as rewriting the URLs to be in a friendly format, controlling the characters, avoiding duplicate content, inserting H1, H2 and redirecting error pages: 301 redirect, 404 errors. It also enables users to utilize Google analytics via Joomla’s back end. The heart of this extension is the meta tags manager, which is basically a dashboard that shows you the current metadata assigned to your website’s content. It lets you to easily copy keywords, descriptions and tags from one place to another. It can also use your article texts to auto-generate meta descriptions. It is said to be the absolutely complete SEO plugin. With this RSSeo tool, metadata can be managed with ease from a single location. Creating Google and Yahoo sitemaps, handling error pages, monitor important keyword positions or setting up redirects or tracking your website performance compared to your competition are just a few of the best features. 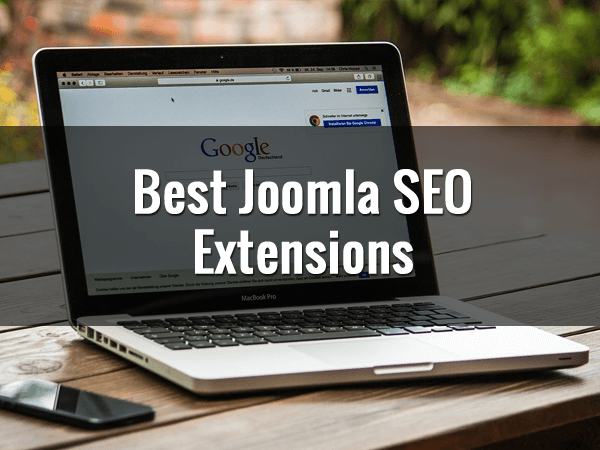 Don’t see your favorite SEO plugin on our list Joomla SEO Extensions? Let us know what it is and why it deserves a spot on our list!